So I’m about to move into an unfurnished apartment and being a cheap college kid I’m looking for as much free/second hand/cheap inexpensive furniture as possible. About four years ago my grandma got new living room furniture. She gave the old stuff (super 70s style) to my dad so that he could get rid of it for her. 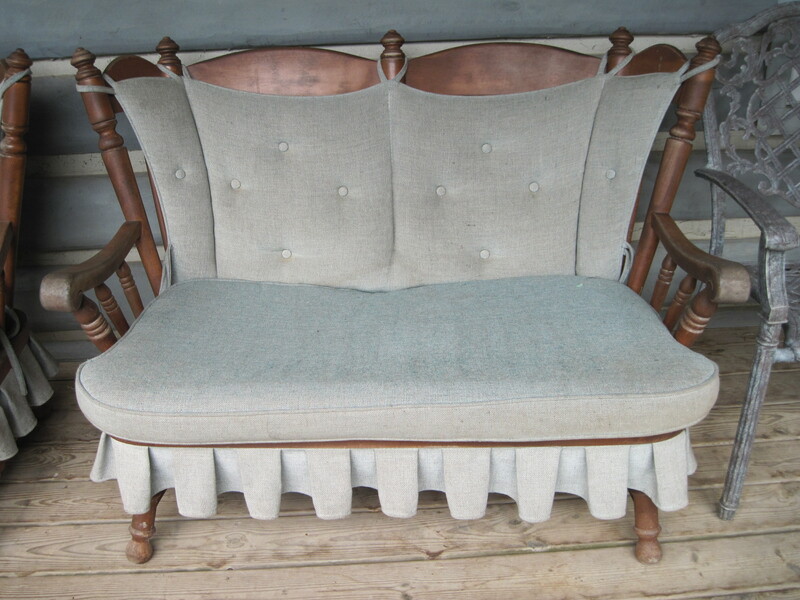 It consisted of an old-fashioned love seat glider and a spring loaded rocking chair to match. 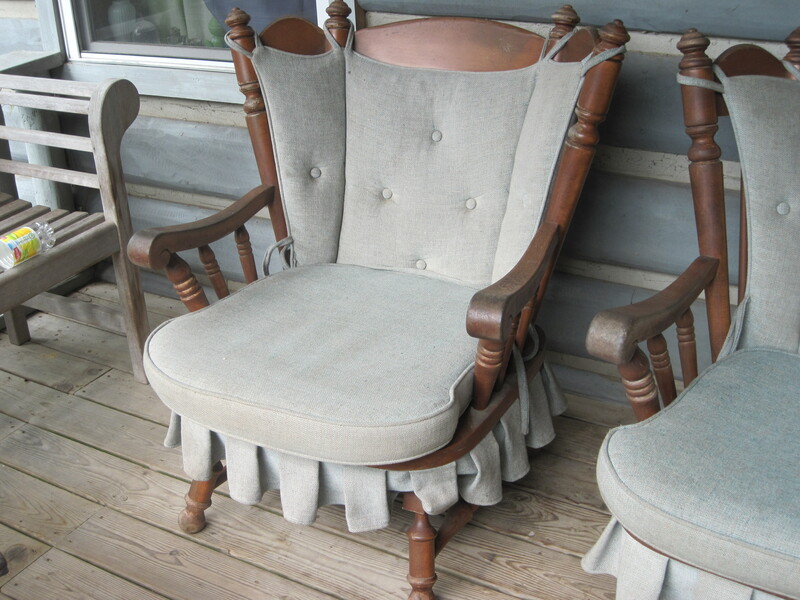 Well my dad is not one to get rid of perfectly good things – being a pack rat kinda runs in my family – so the furniture, as well as the indoor cushions, has sat on our outdoor back porch ever since. My mother thinks it makes us look like “the Clampits” a reference that is lost on me but apparently means hickish. So she told me she’d practically pay me to take it off her hands. Before that stuff ever sees the inside of a home again it needs a lot of help, so I took it upon myself to make entirely new cushions for it. That picnic table also helped my confidence with refurbishing furniture so I’m going to sand down the wood and re-stain and finish the entire thing. Here is what it looks like now, I’m mostly done with the new cushions (fingers crossed they should be done by tomorrow) and I’ll take pictures of that when I am entirely finished. I hope it looks better when I’m done with it! OK, So here are the new cushions! I grossly over estimated the amount of fabric I needed. I made my own pattern by tracing the cushions that were already there and in the process I decided that I would probably mess up once or twice and therefore need the extra fabric. Its kinda nice to underestimate your abilities but at the same time I wish I had been in the same ball park. I ended up buying 15 yards of light green fabric on sale at Jo-Ann’s for $37.90. The foam was also on sale (Yay for the fourth of July!) and it was around $48 which is less than the price for one sheet of 3″ thick foam so hurrah! Unfortunately I have about 8 1/2 yards of green fabric left because I forgot about cutting things on the fold while in the frenzy of the sale. I guessed pretty close in terms of the foam which was the most expensive any way so that was good. I have no clue what I’ll do with the rest of the fabric… maybe an ottoman? Meh I’ll figure something out. couch foam of your desired thickness (this can be expensive so I suggest waiting for a sale, it’s worth it) I used 3″ thick for the seat and 2″ thick for the back. A couple buttons, clasps or Velcro. I apologize for the lack of pictures, I didn’t realize that I would be making a tutorial when I started. I don’t know how useful this one will be because who else but my family keeps 40 year old furniture around? I’m posting it anyway because hopefully it will inspire you to give new life to your old furniture instead of going through the hassle of shopping for new. Plus, we can always do more to reduce, reuse, recycle right? I started on the chair so this will be a tutorial for the chair cushions but the materials are enough for both. I traced both the seat cushion and the back on my paper and then measured a 5/8th seam allowance (my fabric unravels readily and I wanted plenty of room to allow for finishing the edges) I cut this out and pinned them to my fabric. I then measured around the seat cushion edge to get a perimeter and cut out a 4.5″ wide strip of paper that measured half this length, and pinned it on the fold. 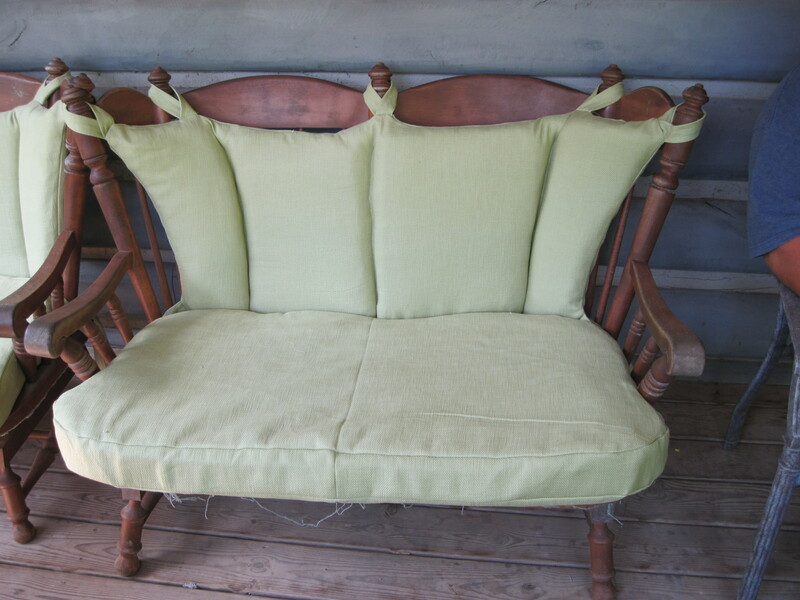 I cut out two of everything and stitched it all up right sides together When I was sewing the bottom of the seat cushion to the edge strip I left the back open and stitched an extra strip of fabric (about a foot long and 4.5″ wide) to the bottom side of the cushion. This slides behind the original edge piece. I finished the edges of both side strips and this created an opening which allows me to remove the foam inside if I ever need to wash the covers. Here you can add a strip of Velcro or other clasps to the corners of the inside flap so that the ‘mouth’ doesn’t open. The bottom cushion covers are a little loose in the picture because I haven’t sewn in these clasps yet. I cut out the back cushion the same way with a 5/8″ seam allowance. 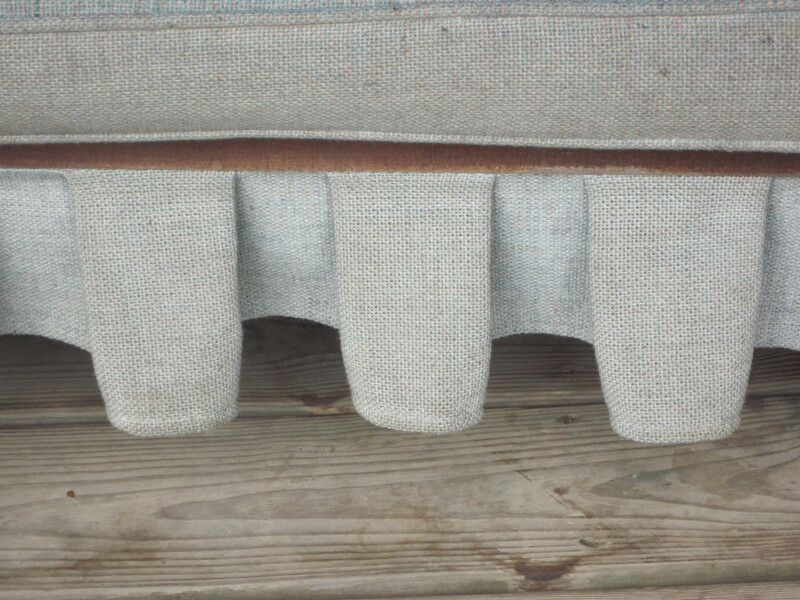 There are two sets of ties on the bottom corners of the cushion and four loops to hook around the posts on the top peaks. For these strips I cut out 8, 3″x15″ strips of fabric and folded the sides in to finish them resulting in roughly 2″x14″ strips (I’m estimating here). I stitched the front and the back of this cushion together and in each corner I tucked the respective strip, making loops (like the awareness ribbon loops) for the top corners and putting ties, two together with wrong sides facing each other (so it would be right sides facing out) in the corners on the bottom. It was a little tricky to sew and I back tracked over each strip to make sure it wouldn’t pull out. I left the bottom open so I could turn it inside out and put the foam in. I traced the pattern through to the foam by poking through the tracing line of the original cushion with a pen and connecting the dots on the foam, you don’t want to cut the 5/8th seam allowance for the foam or you’ll never get it to fit. I ended up cutting two triangular pieces and a rectangle. I inserted an edge triangle, as well as a matching piece of quilt batting, into my right-side-out cushion cover and then stitched the edge of the foam, down the middle of my cushion cover (these covers are not removable unlike the seat cushions, check out the pictures), I did the same for the other edge, leaving my rectangular section open. In doing this the center rectangle should be made smaller about a half inch on the width due to the extra fabric needed to make room for the stitching. After all the foam and quilt batting was in place I noticed some of the areas around the loops and ties were lacking some fluff so I added the cotton filling a handful at a time. 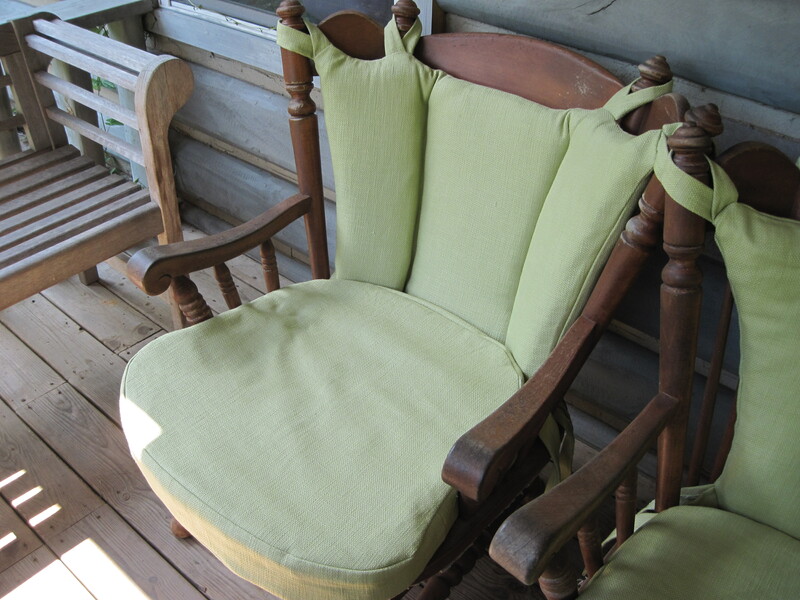 I then hand stitched the bottom of the cushion up and my chair cushions were done. It was really very simple after I finally started working on it. 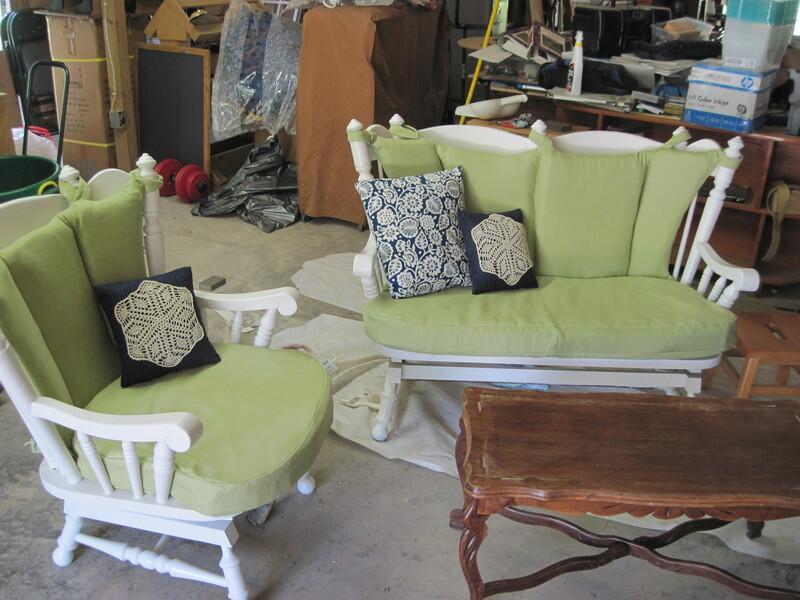 Next was refurbishing the actual chairs. Check back in a day or so and I’ll have the frame sanded and painted as well and it’ll be like new (almost) furniture for my brand new apartment! 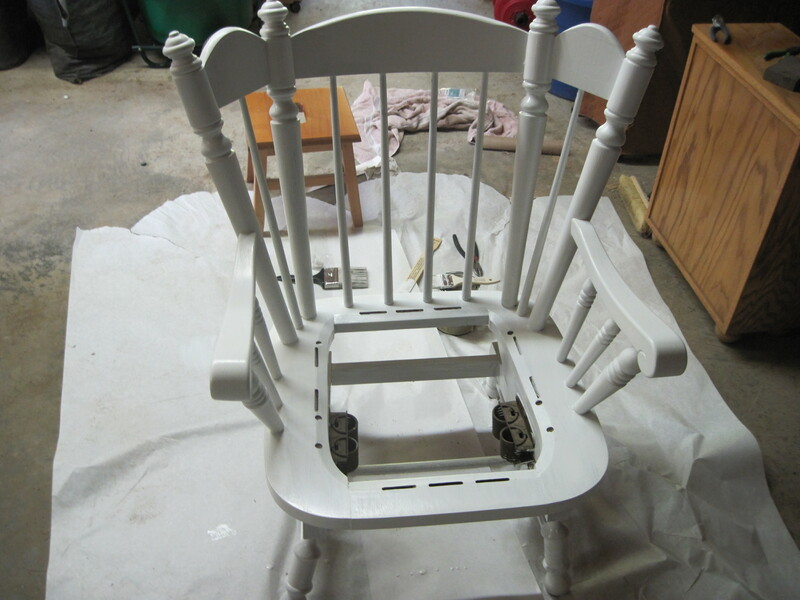 I decided instead of re-staining that a nice coat of white paint might modernize these chairs a little more. Well ripping out those staples was a pain in the neck, whoever put them in never wanted that skirt to come off that’s for sure. 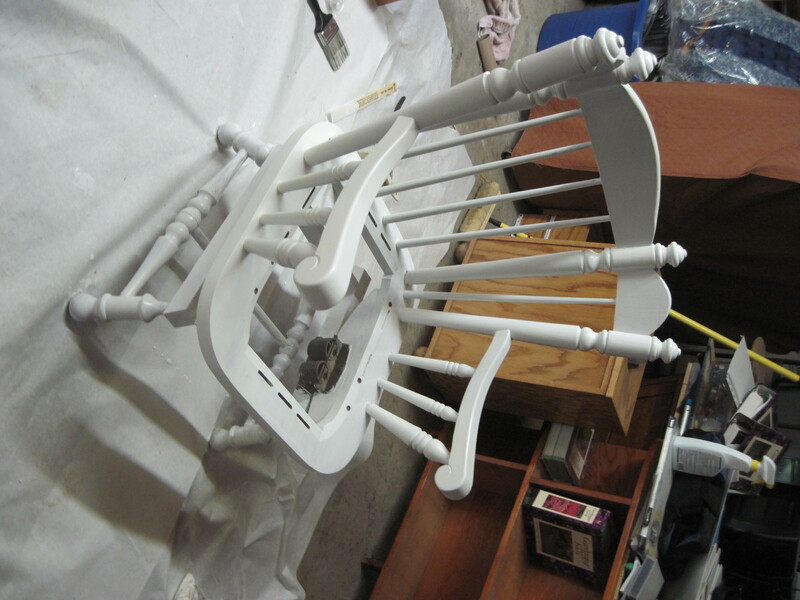 Anyway, I’ve got the chair sanded down and the first coat of paint is happily drying. Check it out and let me know what you think! 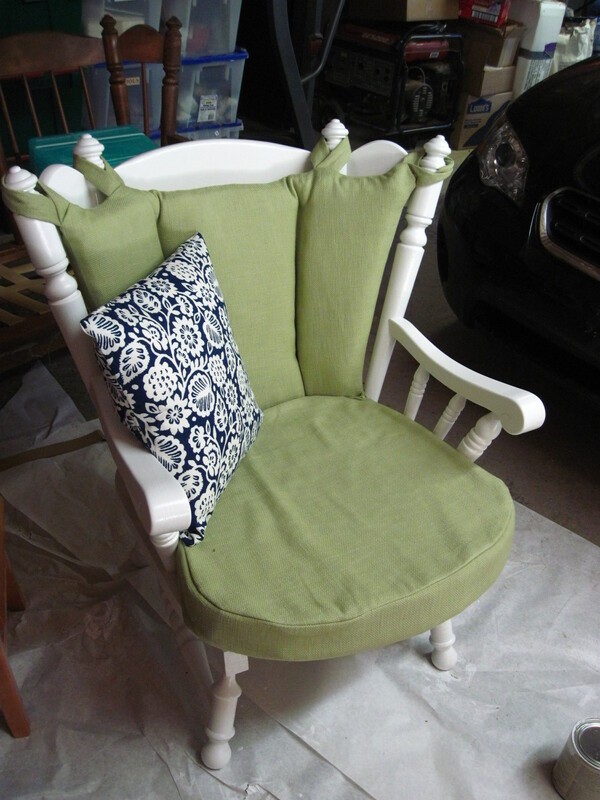 My chair is officially done (second coat is drying)! Now for the couch, if it ever cools down outside! It only took about an hour to sand down the flaky varnish on the chair and the two coats of paint took about an hour and a half over two days. I’ll take a picture of it tomorrow with the cushions on it. I’m so pleased with the way it turned out. Maybe I’ll make a quick ‘before and after’ thing, I always think those are nice. 🙂 I can’t wait to finish the couch! Also, I cut out about 30 strips of fabric to start working on the braided rug that crotchetycrochetlady talked me into making. 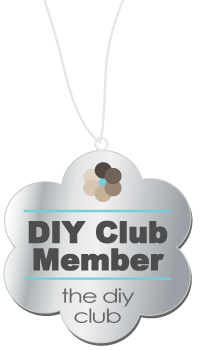 Right now it’s going to be a 3′ x 5′ oval but I’ll post a tutorial for that separately. P.S. 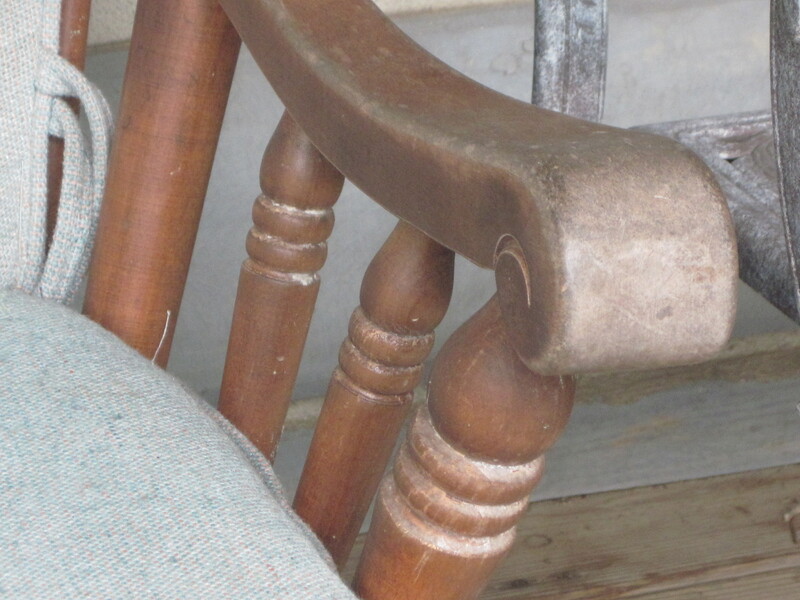 this is about two days after I finished my chair and I’m working on the couch only to flip it over and find mold growing on EVERYTHING. I’ve cleaned it with Clorox and I’m letting it dry but I’m THIS close *holds fingers really close together* to throwing the whole bleepidty bleep thing away -.-; I think I’ll take the day off and revisit it later. They look gorgeous! Check it out. Now to work on the coffee table and the rug 🙂 I absolutely love the way they turned out. 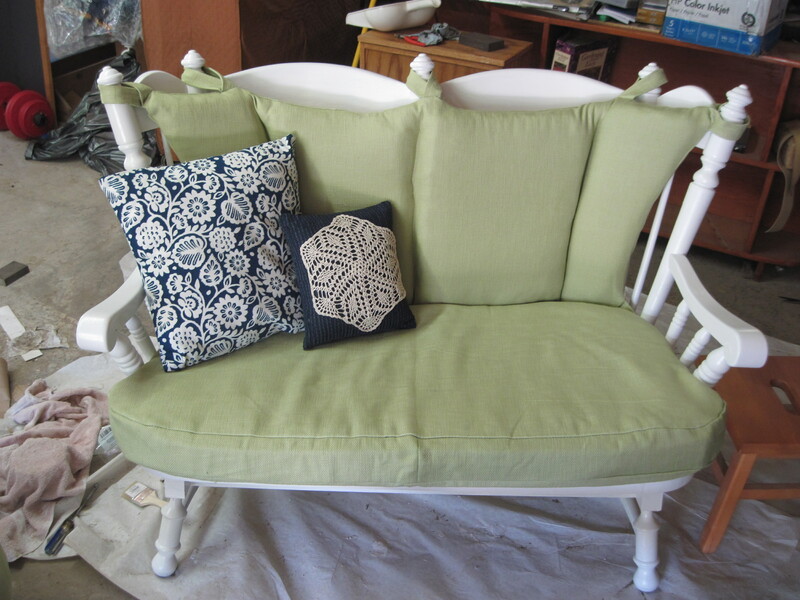 I probably would not have gotten done with the couch had it not been for my awesome mother who helped me sand and paint the thing in record timing! I feel so relieved that they’re done! !